Health is wealth. Hence, it’s imperative that you pay attention to all your body parts including your feet. Based on research, ASISCS, Orthofeet, Nike, and Brooks came up with comfortable shoes that you can use with different types of foot diseases. A shoes manufacturer has to respond to the needs of its client to be able to become relevant to its customers in the 21st century. For one, foot diseases are common, and one of the most prevalent is Accessory Navicular Syndrome. Therefore, it’s crucial that this type of clientele be served with the appropriate product. It’s a syndrome characterized by an irritation or trauma to the os navicularum or os tibiale externum. These are bone cartilages found in the inner side of the feet. The syndrome is considered to be congenital. Nevertheless, research studies revealed the suggestion of a genetic influence. Thus, if one or more of your family members are afflicted with the condition, your risk of acquiring it is increased. What are the causes of Accessory Navicular Syndrome? The root cause can be congenital (from birth), or it can be caused by repeated trauma or excessive irritation by the use of a pair of improper walking boot or footwear. Therefore, the quality factor of your shoes is pivotal to the prevention of the syndrome. It can be asymptomatic, or it can also produce symptoms, such as pain, inability to walk properly, bony prominence, and sometimes, inflammation or swelling. Since the secondary Ossification center may be affected, there could be additional symptoms, such as back and leg pains. You can consider physical therapy, immobilization of the affected feet, or the use of orthotics in your shoes. A removable walking boot would also alleviate the pain. For acute pain, you can take in analgesic medications, and apply ice to reduce the inflammation. Take note not to apply the ice directly into the skin. Wrap it with a soft cloth or towel to prevent damaging the skin. We have compiled a list of the top 3 walking and running shoes for your convenience. You may want to browse and choose the most suitable shoes for you. The Brooks Dyad 6 is one of the best sneakers for accessory navicular syndrome. If you have bunions, trauma or a similar condition in your foot, the spacious toe box will provide comfort. Likewise, it’s good for flatfooted persons. It can also accommodate orthotic devices, for individuals who need them. The shoes are made of synthetic raw material, coupled with soft padded inner tongues and collars. When running, the upper mesh helps protect your feet from inclement weather conditions. Also, the Natural rubber and mesh offers breathability for cooler feet environment. The shoe’s reflective dark gel cushioning glows in the dark; thus, is ideal for night runners. This feature makes it unique from other brands of best running shoes for accessory navicular bone. The ComForDry X-40 removable insoles prevent moisture formation. This would allow your feet to remain dry throughout your run. Meanwhile the outsole is made of long-lasting AHAR rubber. In addition, the material of this footwear brand is made of 100% synthetic or textile high quality material.The effective heel clutching technology allows the shoes to fit into the shape of your feet. Hence, it’s also a comfortable physical education shoes for students working out in the gym. This feature provides you a longer lasting usage, while you wear them more comfortably. The Ortho-Cushion system allows easy gait and appropriate air cushioning to your feet. The incredible design features orthotic insoles, cushioning heels,and suitable anatomical arch support. The interior lining is padded with soft foam that can provide appropriate footwear for persons with plantar fasciitis, diabetes, accessory navicular syndrome, navicular tuberosity, heel spurs, and other foot conditions. 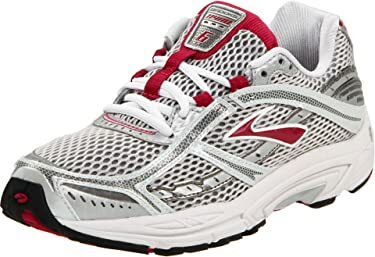 The construction of these best running shoes for accessory navicular syndrome offers significant footwear solution to women withvarious foot pains. These may include pain in the cartilage, posterior tibial tendon, ostibialeexternum, sesamoid bone, and the fibrocartilage. Do you have any feet abnormality? What is this specific condition? You have to identify it. You must know the answers to these questions before attempting to buy a pair of walking shoes. People have individual differences with regards to sizes and preferences. Each one has some unique needs. Identify yours before choosing your pair of running shoes. Once you know your feet’s specific requirements, the next step is to browse for products that could meet your needs.Choose what’s best for you, and not what’s best for other people. Measure the toe box and find out if your recommended medical orthotics can be accommodated. This is crucial for your well-being. Otherwise, your syndrome could worsen, or you could be causing a new foot problem. Keep in mind that your comfort and safety is more important than how cheap the product is. As mentioned previously, wearing shoes that are not comfortable can aggravate an existing disease and can be the cause of new ones.This fact has to be emphasized as it’s essential in choosing your ideal footwear. 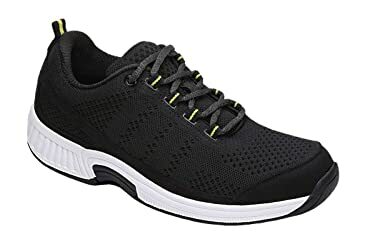 Being safe and comfortable would indicate that the shoes have to be properly cushioned, the material breathable, and that there is effective foot support. Your feet should not smell, or be bathed in sweat or moisture. An ion foot perfume could help diminish the odor, but the continued dampness of your feet, when running, can harbor a variety of microorganisms. After comfort and safety, you must consider the durability of the shoes. You could save a considerable amount of money, if your choice is of outstanding quality. Buying a pair of durable shoes once a year at a more expensive price is better than purchasing a cheaper pair of shoes three times in a year. Look into the textile, synthetic and rubber materials used for the running shoes. They have to be sturdy and long lasting. You may want to read about the shoe’s product specifications. Naturally, this is a crucial factor that you must consider. No matter how safe, comfortable and durable a pair of walking shoes is, if you cannot afford it, then what’s the use of choosing the right one for you. However, if you’re diligent enough, you can always find the perfect shoes for you - at the right price. Surely, you can afford to tighten your belt to spend a few more dollars for your appropriate footwear. A fashionable design is crucial for people who often attend vital occasions after a walk or run. It would be great to sport a pair of trendy walking shoes in case this incidence occurs. It won’t hurt you to be ready in such unexpected occasions. 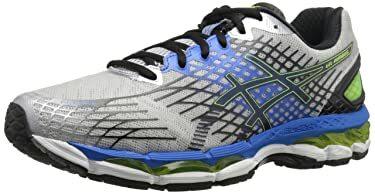 Among the top 3 best shoes for Accessory Navicular Syndrome, the most recommended for men is the ASICS Men's GEL Nimbus 17 Running Shoe. For women, it’s the Orthofeet Women's Plantar Fasciitis Orthopedic Diabetic Walking Athletic Shoes Coral Sneakers. Nonetheless, as we mentioned earlier, the final choice should depend on your foot’s requirements. You’re the best judge for that. If you follow these pointers, you would save time and energy in searching for a pair of shoes suitable for your use. This list would assist you in deciding quickly. In severe cases of navicular syndrome, consult your physician for appropriate therapy and medication. What Are the Best Shoes for Tendonitis? Buying Guide and Selection! F5active.com is a participant in the Amazon Services LLC Associates Program, an affiliate advertising program designed to provide a means for sites to earn advertising fees by advertising and linking to Amazon.com. Amazon and the Amazon logo are trademarks of Amazon.com, Inc., or its affiliates. Additionally, F5active.com participates in various other affiliate programs, and we sometimes get a commission through purchases made through our links.